White Hart Lane side battle Anfield interest in pursuit of Blackpool winger. Tottenham boss Andre Villas-Boas hopes to beat Liverpool in the race to sign talented young Blackpool attacker Tom Ince according to the Daily Mirror. The North London side are ready to offer £6.5m for the England Under 21 international with White Hart Lane chairman Daniel Levy keen to agree a deal early in the summer transfer window. The winger, who can play on either wing, was named in the PFA Championship team of the year after a stunning season which saw the former Liverpool man rack up 18 goals and 14 assists, despite his Tangerines side never really challenging for even a play-off spot. Liverpool are also keen on re-signing the 21 year old but have failed in previous bids to do so. 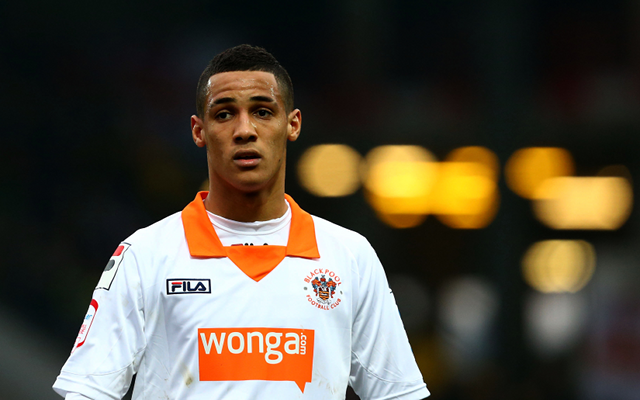 Tottenham see Ince as the man to challenge Aaron Lennon on the right wing. Given that Blackpool have failed to bounce back into the top flight the Bloomfield Road side may be forced to consider offers for the young talent though will not sell their prized asset for any less than they deem he is worth. Villas-Boas will be looking to strengthen his squad this summer and will look to stick to a youthful transfer policy whilst doing so. Clearly Tottenham would have even more hope of luring Ince to the club if they had a Champions League berth to dangle as a carrot in front of the starlet.